Editor’s Note: As part of the “How I Do It” campaign, sales expert Logan Nathan shares how he makes social selling for his business work. Learn tips on how you can enhance your sales strategy and become a more successful and effective sales professional. While most business organizations have welcomed Social Media with open arms and many have jumped on the bandwagon; leveraging social media channels to broadcast news and updates about their business, many fail to generate what I call the TRUST factor. It is becoming increasingly difficult for businesses to cut through the clutter of information posted on social media channels and emerge as a trusted provider of valuable tips, suggestions and other content which gets the likes and shares they seek. Buyers in today’s market place have a lot less trust in ads and company messaging, relying instead on reviews and feedback left on the company’s social media pages. The message to businesses is clear. Buyers are future advocates of your company. Social isn’t a channel for projecting a cold faceless corporation. Organizations have to project their authentic selves and demonstrate that they care about the customer and their success. The question you may ask is, what I mean by trust in a social selling context and how can it be established among prospects increasingly selective about who they can trust? The answer to this question lies in understanding what trust really means and how it can be applied in a social selling context. 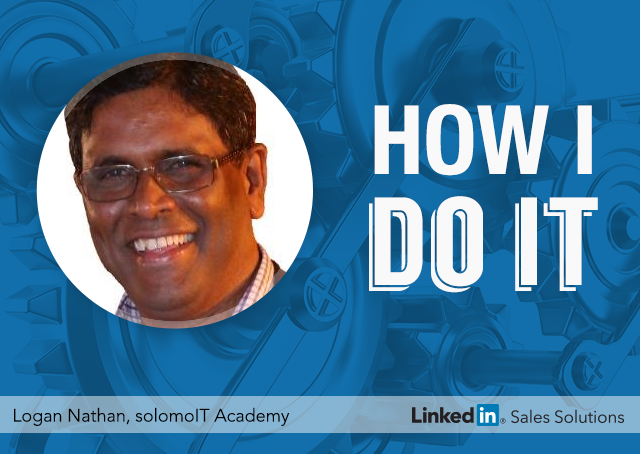 Here is my simple outline on how to gain trust while social selling using LinkedIn as an example. From my experience, most visitors to a LinkedIn profile have a limited attention span and in seconds will determine whether they would like to engage with an individual or click off, never to return. The mistake most business owners make is setting up their profile that looks like a resume or they have very little and sometime irrelevant information. It’s all about them and their achievements. In most profiles, what prospective clients and Joint Venture Partners are looking for is not evident. Publishing valuable posts others read and comment on is just aspects of being seen as an influencer on LinkedIn. Equally important is demonstrating a commitment to building relationships with existing connections by actively seeking out their LinkedIn posts and commenting on them or sharing these posts with other members. Asking other members about the challenges they are facing in their business, sharing articles, videos or other information which may help them in their business will get them feeling they are being cared for. It’s been proven in business that differentiation is the key to success whether online or offline. It’s why personalities like Richard Branson, Steve Jobs and Mark Zuckerberg have stood out from a sea of equally capable but lesser known business personalities. It’s also why the phrase “Unique Selling Proposition (USP)” continues to be a principle on which successful businesses are built. In the age of information overload adding a unique spin to available information and presenting information so it is easily consumed and understood is what increases the likelihood of the information being shared and liked. Using a mix of infographics, video and text makes posts interesting and visually appealing. This also helps in breaking up the monotony of dull and boring text which is visually unappealing. Let me give you a word of caution, when presenting nothing turns a viewer off faster than information which is complex and hard to understand. If the subject is complex it always helps to break it down into a series of posts instead of one long chunk of content. Just like any other marketing initiative, building trust on social media channels takes time and effort. A strategic approach rather than a tactical approach is necessary to ensure set goals are met. In the absence of goals and measurement tools to monitor results generated through social media activity, the results will be disappointing and all social media related activity a complete waste of time. It’s often said that successful people somehow happen to be at the right place at the right time with the right product or service. This principle is true on LinkedIn too. Creating posts around subjects of topical interest often result in more views and shares. For example, accountants can post tax saving tips close to the end of the financial year. Financial institutions can use interest rate changes announced by the Reserve Bank to post about the impact on their mortgage repayments. With a little effort even news headlines can be used to draw an analogy while creating a post on an unrelated topic. With the proliferation of social media channels social selling has become a buzzword in business circles. Despite this, little effort is being made to establish trust required before being perceived as an authority to be followed and liked. For businesses owners like me, LinkedIn provides the ideal social selling platform, one which has provided with an incredible return on my time and investment.